Composed for the reconsecration of Britain’s Coventry Cathedral — which was destroyed in World War II — the "War Requiem" was first performed in England in 1962. It made its American debut a year later, when the Boston Symphony Orchestra brought it to Tanglewood. Now, a new generation of musicians is bringing The "War Requiem" back to Massachusetts during a performance on Saturday at Boston’s Cathedral of the Holy Cross. Pittman will conduct the New England Philharmonic, Chorus Pro Musica, the Boston Children's Chorus, and the Providence Singers. “It combines the traditional Latin Requiem with the anti-war poetry of the British soldier, poet, Wilfred Owen,” Pittman says. At rehearsal, two men stand on either side of Pittman as he directs the orchestra. One baritone, one tenor, representing one German and one British soldier. They sing Owen’s poetry in English, as the choir sings the Requiem Mass in Latin. “And then he puts in this Wilfred Owen poem that talks about Abraham making the sacrifice of Issac,” Burleigh says. So Abraham rose and went to clave the wood, and went, and took the fire with him, and a knife. "But rather than listening to the angel, he decides to not slay the ram of pride," explains Burleigh. Behold a ram, caught in a thicket by its horns. And half the seed of Europe one-by-one. “And then the children’s choir comes in and sings hostias et preced tibi Dominie, which means we make offerings to the Lord. To hear the children, that pure sound as we’re talking about the seed of Europe being slain one-by-one. It’s just such a powerful juxtaposition. It’s absolutely shocking,” Burleigh says. “I don’t speak Latin, so I had no idea what it was saying until they gave us the sheets to read what it was saying,” says Isabelle Keefe, 13, who sings with the Boston Children’s Chorus. “When I first read the translation, I was thinking like, war is a bad thing, and we’re like asking for forgiveness and offering prayers for the dead,” says Madeline Mechem, 16, who has been with the Boston Children’s Chorus for five years. But, how does a conductor coordinate with angels? In the cavernous Cathedral of the Holy Cross, the choir loft is far from the pulpit where the orchestra is sitting. It takes time for the sound to travel back, and consequently, the Children’s Choir is a beat or two behind. Britten faced similar challenges in 1962. But Pittman has something that was not available to the English composer: A cellphone, which he uses to communicate with the choir’s director in the cathedral’s loft. Bringing together 300 singers and musicians isn’t easy. Neither is infusing the Latin Mass for the Dead with English trench poetry. Or binding the words of a dying World War I soldier into the rubble of a Cathedral bombed in World War II. Britten was offering a rebuke to two 20th-century European catastrophes of mud and blood. 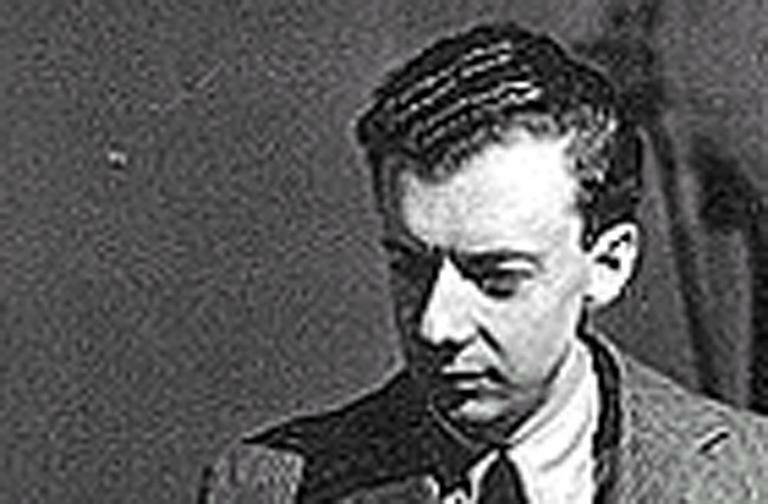 Later music critics wrote that Britten wasn’t just writing about past conflict. He lived not far from a British air base. When composing the "War Requiem," fighter jets capable of carrying nuclear missiles often roared over his house. The menace of the Cold War, of future war, was ever-present. The same holds true for Mechem and Keefe of the Boston Children’s Chorus. Mecham’s stepfather is a captain in the Army Reserve who returned from a year-long tour in Afghanistan in June 2011. Keefe’s brother, Chris, returned from Afghanistan over the summer as well. Mechem says the music makes her think about the people who didn’t make it back from war. English war poet Wilfred Owen faced a similar end, notes Pittman. He was shot in the head and killed in France, one week before Armistice was declared in 1918. “So for me, it’s more about this horrible instinct of human beings to do harm to one another, and to, for one reason or another, have a kind of anger that results in this armed conflict. And that’s reflected in the music,” Pittman says. The last movement, builds and builds and builds, he explains. “It gets faster and faster. And then there’s the biggest climax of the whole piece. And then there’s incredible still, where these two soldiers are singing about the after life. And everyone is singing together, 'Let us sleep now.' "
And yet, as the Times of London wrote in the days before the War Requiem's 1962 premier: "It is not a requiem to console the living. Sometimes it does not even help the dead to sleep soundly. It can only disturb every living soul, for it denounces the barbarism more or less awake in mankind with all the authority a great composer can muster." 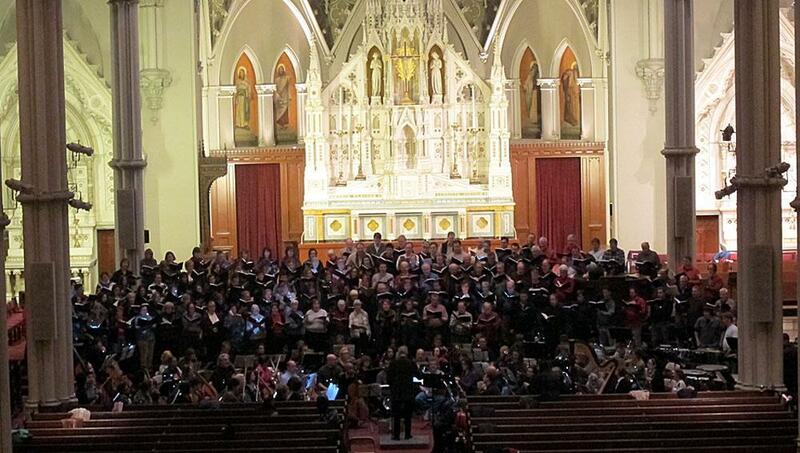 Benjamin Britten's "War Requiem," Saturday, March 3 at the Cathedral of the Holy Cross. This segment aired on March 2, 2012.